I see an obsession with coffee in recent Korean dramas. Everybody drinks coffee, almost never tea or hot chocolate or fruit juices - they sometimes order juices but they are left over because the person leaves the table in anger or despair. Yes, the cafÃ©s are handy to have conversations with, but it's more than that. Nowadays people not only drink lots of coffee but characters in the show are coffee owners or baristas. 10 years ago, the scene which characters talk in the cafÃ© was shot in the inside filming site or just general coffee shop. However in recent years, in Korea, the cafÃ© industry has been growing rapidly. In 2006, the numbers of cafÃ©s in Seoul were around 658. In 2011, not only it has increased seven and a half times, but also the cafÃ© brands have diversified. The number of cafÃ©s is still increasing. The cafÃ© interior has become more refined and the places have settled as a cultural place not just simply spaces for people. Now the cafÃ© has become an important supporting part in the drama. In effect, talking each other in the cafÃ© is one of the important parts of dramaâ€™s flow. Coffee Prince (The 1st Shop of Coffee Prince) In 2007, the drama â€˜The 1st Shop of Coffee Princeâ€™ was shot at the cafÃ© The 1st Shop of Coffee Prince in Hongdae and that was the main shooting place. Five Children The female lead's ex husband runs a bar with his new wife. Pretty Noona Who Buys Me Food (a.k.a. Something in the Rain). The female lead works for a coffee franchise, and her best friend is the owner of a coffee shop in the franchise. Mama Fairy and the Woodcutter The female main lead is a barista who makes awesome coffee, an art learned in heaven. Do you know any other dramas where the characters are coffee owners or baristas? Anyway, Yes, they're fixated with the black stuff, java... They can't wait to wrap their little cold hands around a hot cup of joe. Americano seems to be their preferred variety. Then again, isn't everyone like this? Coffee shops are very popular across all continents. It's not to that extent. I mean, I'm Greek/Italian, as you know. In Greece we have the famous Turkish coffee, which has now been renamed to Greek coffee for stupid nationalistic reasons (if they wanted to change it, they could name it Arabic coffee, since this way of making it comes from the sandy deserts). It's the one where the coffee powder still sits at the cup bottom. Traditional coffee shops, unadorned and boring, are a men-only business, where the older men gather and play backgammon and a card game called "prefa". The modern, Western-style cafÃ©s are popular, yes, but so are juice bars, beer bars and especially the so called cafeterias where coffee is only a part of a whole menu: you also get ice-creams, juices, smoothies, hot chocolate, waffles and other sweets, fruit pies, club sandwiches and NescafÃ© frappÃ©. The cafeteria is the most popular kind of shop in Greece, because everyone can find something to his or her taste. 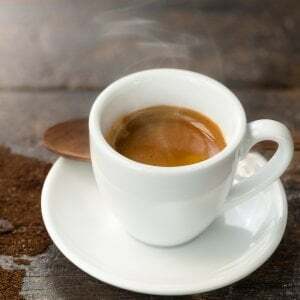 In Italy, yes, there are coffee bars everywhere, but they are mostly the non-sitting kind, where you briefly sit at a stool at the bar, sip your espresso with a cornetto (croissant) and grab a panino to take with you before rushing to work. Or they drink espresso in a restaurant, after a meal. The sitting cafÃ©s are more of a French thing, but there, again, it's not only about coffee. You can even drink wine there. I think that it's the Korean snobbishness about everything Western and in particular European, which has taken this to such extremes. I thought it was mostly in dramas, but reading about it, it seems to be a real thing too, as seen in my quote from an internet article. One of my Korean friends takes her pictures mostly at coffee cafÃ©s. A trend that baffled me is the popularity of Dutch coffee. I had to look up what they meant with that trend and apparently they use a ice-drip coffee method that the Dutch used back when they transported coffee to Korea on ships (300 years ago). And the myth in Korea is that every Dutch person drinks their coffee this way (they much prefer hot coffee over cold coffee). It's become much more a brand name than a cultural reference. The male lead's mother was kind of a "Coffee Mamsell", at least I would name her like that she raised her two sons alone and made a living by selling coffee. The women at her town would call her something else as her costumers were only "Oppas". But she always said she would only sell coffee not even alcohol, but she did humor the men in her CafÃ©.I remember that she even did deliveries with a thermos bottle. For this case selling coffee isn't hip at all, like in many other dramas. Ths is right, in Italy we don't have cafÃ©s where you order something and just sit there to talk for hours with your friends (and have free wifi), the first Starbucks was opened this year, if I'm not mistaken, in Milan. I wish there were tho. A very common thing here (although it's just a couple years that we do it lol) is the aperitivo, it's kind of similar to what people do in cafÃ©s, they hang out and eat appetizers and drink cocktails. Honestly I don't get all this hype for coffee, it just looks like coffee and a LOT of water to me vbdkduu I guess it's because coffee it's very different here. - They order coffee for someone else when they don't even know if they like it or not. Nobody should order coffee for me as I find it really disgusting. So I rather have tea, hot chocolate or some kind of fruit juice, smoothie. - Even they order coffee for someone else who likes it, how do they know what kind of coffee they prefer. My dad drinks it black but my mom needs milk and sugar and that's just for the basic coffee. - They only fill those tiny paper cups like halfway with water after adding coffee powder. Won't the coffee become disgusting then as it's to strong or are those powders in Korea so weak? I live in Germany, in the west, closer to France not to far from Luxembourg either. We do have some kind of tradition about our CafÃ©s, but for the past years you see a break with the traditional houses. It's more the elder generation that still takes their time to have coffee and cake. The younger ones go more for the foreign chaines. It worries me at time how much waste comes along with the popular "Coffee to go". I do however have a problem with chains, when I feel like there is no love left for the product. It can be hand dripped or whatever, I like my CafÃ© in the hand of an owner that cherishes his/her work. They only fill those tiny paper cups like halfway with water after adding coffee powder. Won't the coffee become disgusting then as it's to strong or are those powders in Korea so weak? I still haven't tried those instant coffee's, since I'm not a big coffee drinker and when I do have some, I prefer the quality kind But, I do drink the instant grain powder tea's and you need 2 packets to get a non-watery cup (250 ml) of tea. So maybe it's the same with the instant coffee? Full disclosure: I'm not a coffee drinker, I've never had coffee in my life and I even hate moka ice cream. Maybe that's why I was so impressed by the massive presence of coffee in k-drama. Now, in Mama Fairy, there's even a song about coffee! Heaven's Garden the male lead had a cafe in the middle of the mountains. It actually looked really cozy. It was part of his home. In that one and in others though I'm sure there is advertising and product placement for the coffee brand or the company/chain. If it takes over the Subway scenes I wouldn't mind. Now I'm seeing Dominoes ones though. In more recent dramas I do think there are more coffee scenes and less traditional tea scenes. I tried the instant packets once and I liked it but it tasted very fake to me. It had instant foamy top like cappuccino. But I was afraid of what I was drinking.